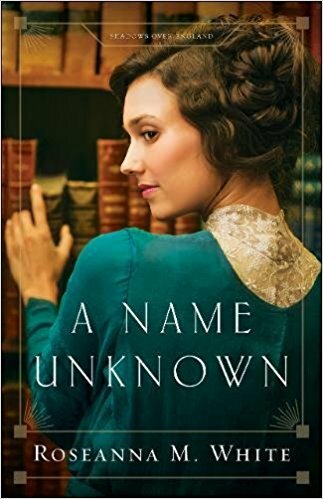 A Name Unknown takes place in England in the days just before World War I. Rosemary Gresham has had a hard life growing up on the streets on London after her parents died. She was raised with a group of street urchins that she considers her brothers and sisters. Because she is a skilled thief, she is sent on an unusual assignment: to find out if nobleman Peter Holstein is actually sympathetic to Germany. She travels to Cornwall to work in the Holstein library and to gain his trust. To both their surprise, a bond slowly forms between them and changes their lives. This is such a lovely and unique historical novel. I am interested in Edwardian England, and found this period just on the eve of World War I to be fascinating. The Cornwall setting was especially nice. I love that books and writing and a mysterious home library figure into this novel. There is a mystery involved, of Peter's lineage and family history, and it is really a page turner. I did not immediately like the character of Rosemary, but I came to find her sympathetic as the novel went on. Peter is such a remarkably kind, good character, and their friendship (blossoming slowly into a romantic interest) was beautifully written. A Name Unknown is the first in a series, Shadows Over England, and I am eager to read the upcoming novels. This is my first read by Roseanna M. White, but I plan to look for her other books. The combination of historical details, a slow building romance with a compelling mystery, and multi-dimensional characters makes A Name Unknown an engrossing read. I recommend it highly to fans of historical fiction, Christian fiction, and anyone interested in Edwardian England. Roseanna M. White pens her novels beneath her Betsy Ross flag, with her Jane Austen action figure watching over her. When not writing fiction, she’s homeschooling her two children, editing and designing, and pretending her house will clean itself. 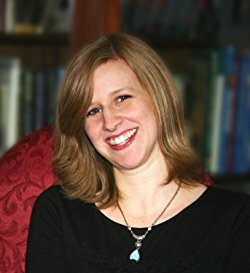 Roseanna’s fiction ranges from biblical fiction to American-set romances to her new British series. She lives with her family in West Virginia. One lucky reader will win a copy of A Name Unknown. The giveaway is open to readers in the U.S. and Canada, and will end midnight 7/21/17. The winner will be notified by email, and needs to respond to the email within 48 hours. The winner's book will be sent directly from the author or her publicist. It looks like there is quite a lot to love in this book! I'm so glad you enjoyed it. I think I would love this book. Thanks for the chance to win! This sounds very good. And I am fond of historical fiction, so I will be adding this to my TBR pile. I'm impressed with the amount of research Roseanna White has done to make the book seem authentic. I'm looking forward to reading the book. This looks like a very interesting read. Count me in! This sounds like a good book, thanks for the giveaway. I am looking for a new summer read! I would love to read this book. Sounds great! Thanks!